Are you thinking about becoming a Certified Eyelash Extension Professional and increasing your client base and your income? Have you been researching your options to find the best company out there to fulfill your career goals? 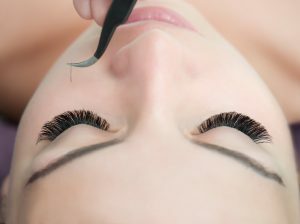 Search no more, when it comes to eyelash extensions, we will absolutely guarantee that our unique application is the safest and most efficient method for perfect technique in eyelash extension application, we are proud to offer you the most up to date and top of the range lash products along with the highest caliber training by the most competent instructors in the industry. Individuals or therapists who are trained in this skill are a great asset to any business or to themselves for those who wish to open their own business offering this treatment. A Classic eyelash extension certification teaches the fundamentals of individual eyelash extension, through to advanced level styling and texturizing. Those wanting to make an amazing living making clients look and feel their best! Those returning to the industry or felt that their initial basic training was poor. Classic Eyelash Extension Course – This Course teaches the fundamentals of individual eyelash extension, through to advanced level styling and texturising. Russian Volume Eyelash Extension Course – For qualified Lash Technicians with at least 6 months experience.